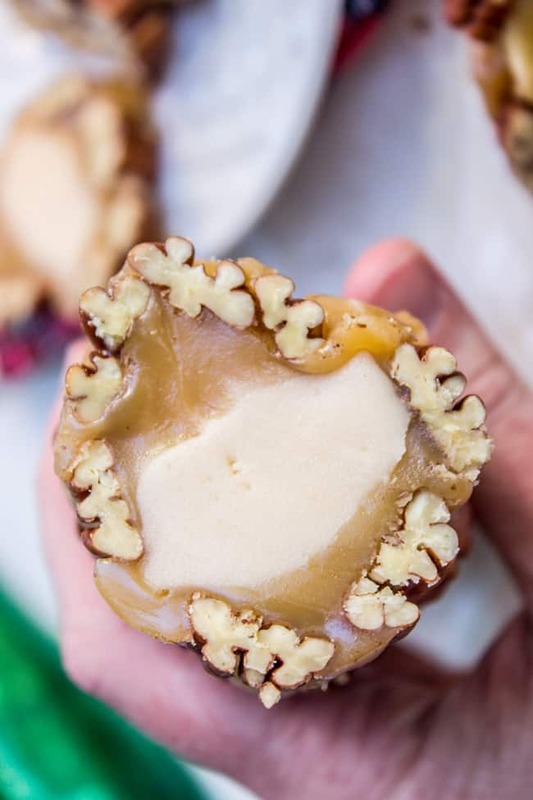 The sweetest vanilla nougat, wrapped up in soft buttery caramel, with a layer of pecans on the outside to make a perfect candy log. This is Christmas at it’s finest! Perfect for host or neighbor gifts. So how was everyone’s Thanksgiving?? My turkey was raw. No, I’m not kidding. You think I’m joking when I call myself a charlatan? RAW TURKEY PEOPLE. First time hosting. But now that we’ve got Thanksgiving out of the way (sorry Thanksgiving) it’s time for CHRISTMAS!!! 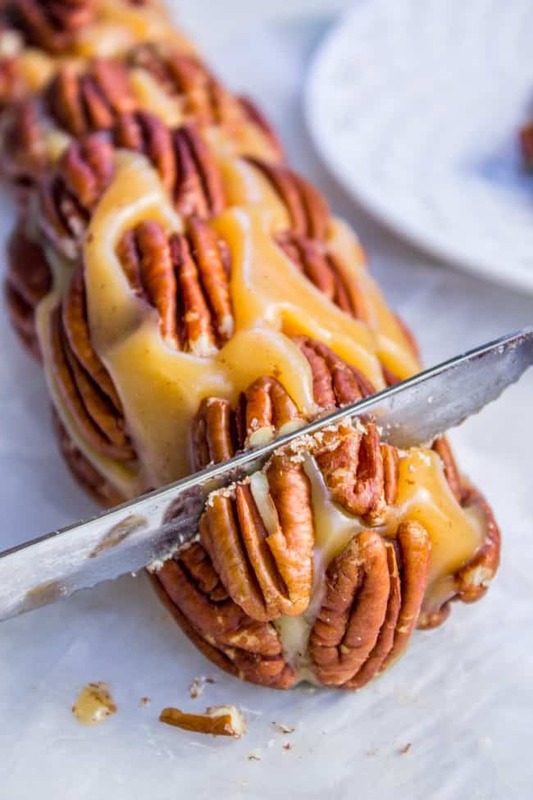 Specifically Christmas in the form of this Pecan Log. Guys. I have been waiting for this recipe for years. My cousin’s wife (hi Emily!!) makes these Pecan Rolls every year as gifts and I EAT THE WHOLE THING. Every year. Eric gets maybe one slice (forget the kids) and I eat the rest. It is SO GOOD. Let’s get one thing straight, I am not a candy maker. (RAW TURKEY, PEOPLE.) Candy making is not for the faint of heart, I know. 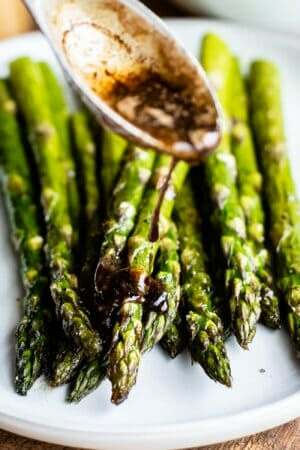 I’ve never even attempted it, besides the occasional caramel sauce. But I did it! And you can too! You must! It’s so good. First you make the nougat. It is the best part. It is creamy and rich and vanilla-y and a little bit grainy but not in a weird way. Then you let that chill while you make the caramel. Then wrap the caramel around the nougat (it takes some practice but it’s really not bad. I took pictures for you! (below the recipe) There is still caramel on my camera. You’re welcome.) Then you place pecans on the outside and chill for a bit, then slice and eat! I know what you’re thinking. Ain’t nobody got time for that. And it’s certainly not an every day treat (like these 30-minute Almond Roca Bars, or these 2-Ingredient Nutella Puffs) but if you can’t spend an afternoon making candy at Christmas time, then when can you? These keep great in the fridge or freezer, so you can make them well ahead of time. Mine are already in the freezer and I will gift them to my neighbors as the holidays get closer. You have to tell me if you try this! Snap a quick photo and share on social using #thefoodcharlatan so I can see it! Use 1 stick of butter to rub the bottom and sides of a heavy 3 quart saucepan, all the way to the top. Don't be stingy. Use the same stick of butter to rub the bottom and sides of a 9x13 inch pan. Set aside the rest of the stick of butter, you will need it later. 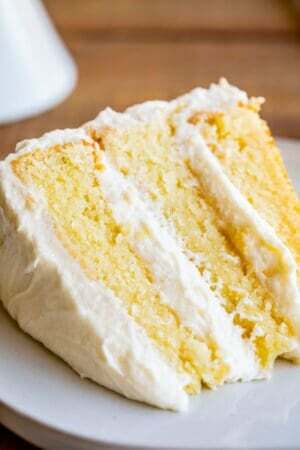 Add 1 and 1/2 cups cream, 3 cups sugar, 3 tablespoons corn syrup, and 1/4 teaspoon salt to the buttered pan. Stir together over high heat. Attach your candy thermometer to the side of the pan, and make sure the bottom of it is not touching the pan. Let the mixture boil until it reaches 238 degrees F. Once the mixture is at a steady rolling boil, you can turn the heat down to medium or medium high, but make sure it stays at a rolling boil. I stirred pretty frequently, but I asked Emily and she said she doesn't stir at all. The mixture will rise up to the top of the pan. I didn't time this part, but it was at least 10-15 minutes. When the mixture reaches 238, pour it into the prepared 9x13 pan. Let cool for a minute or two, then add 3 tablespoons of butter cut from the stick that you used to rub the pans. Add 1 and 1/2 teaspoons vanilla and stir. Cover and refrigerate until the nougat is hardened enough to be molded. Divide the mixture into 7 logs that are about 6 inches long. Continue refrigerating covered. Meanwhile, make the caramel. Wash and dry the 3 quart heavy saucepan. If there is any butter left in the original stick that you used to grease the pans, use it to grease the pan again, all the way to the top. Grease a second 9x13 pan. 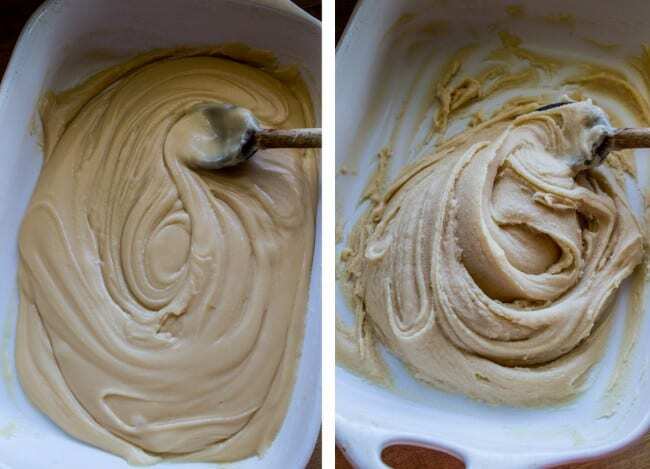 Combine 1 cup cream, 1 stick butter, 1 cup dark corn syrup, and 2 cups sugar. Bring to a boil over high heat. Attach your candy thermometer and boil until it reaches 238 degrees F. (Again, I stirred, Emily doesn't). Once the mixture reaches a rolling boil, you can lower the temperature to medium or medium high, just make sure you maintain a rolling boil. Measure out another cup of cream. Once it reaches the 238 mark, slowly pour in the cup of cream and stir. Continue boiling over high or medium high heat until it reaches 238 degrees again. Pour the mixture into the buttered 9x13 inch pan. Wait a minute or two, then stir in 1 and 1/2 teaspoons vanilla. Use a spatula to slice the caramel into 7 strips. Work the caramel off the pan using a rubber spatula. Mold each strip of caramel around each nougat roll. Press pecans into the sides of the roll and on the ends. I like to leave them whole, but you can chop them if you want. They are really delicious toasted too. 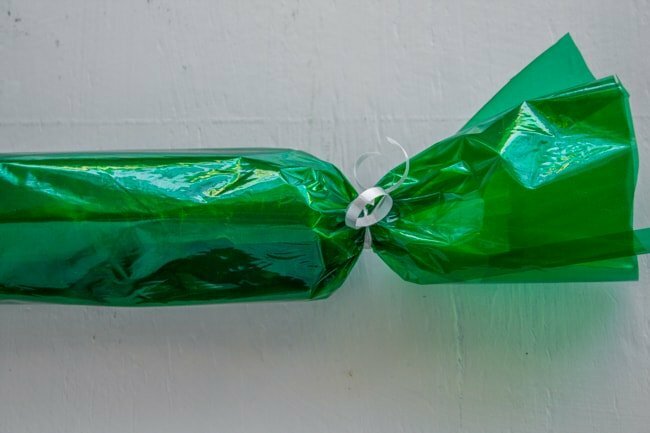 Wrap each roll in wax paper and secure with scotch tape. Roll in cellophane and tape. Tie the ends with ribbons. Store the rolls in the refrigerator. 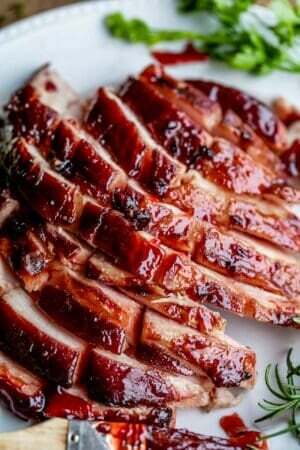 Let them sit out for about 10 minutes before slicing with a sharp serrated knife. If you are going to freeze or refrigerate for an extended period of time, store the wrapped rolls in a ziplock bag. Emily's mom says not to make this recipe on a rainy day, or it won't set! Source: This recipe is from my cousin Emily’s mom. Butter that pan really well. And make sure you use a good candy thermometer. This is the nougat layer. It will start out thin but get thicker as it cools. When it is cool enough to work it with your fingers, form it into 7 logs about 5-6 inches in length. Here is the caramel layer. When it is cool enough that you can make cuts, slice into 7 strips. (I know there are only 6 here, I forgot the first photo). The caramel is pretty sticky at room temperature. Shape it into a log, line it with pecans, then wrap it in wax paper and tape it shut. Wrap it in cellophane and tie the ends! You will be everyone’s favorite neighbor this year. Here are some other neighbor gift ideas! 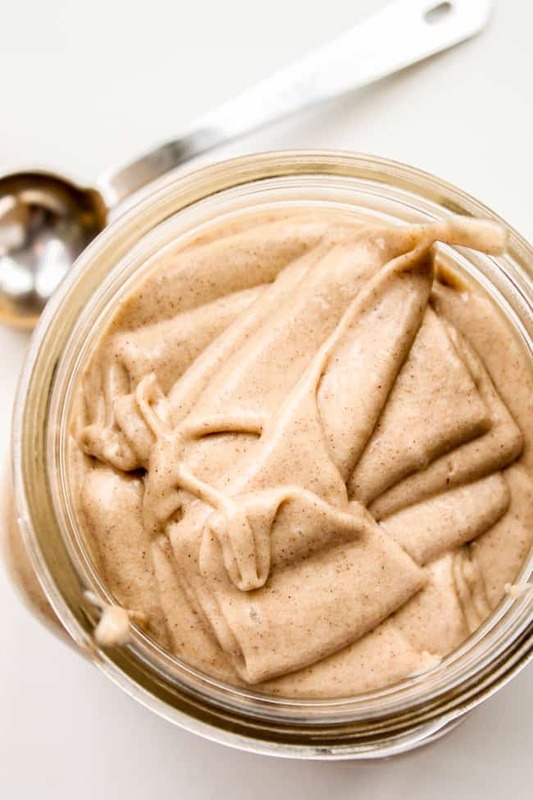 Cinnamon Honey Butter: <<this is a HUGE reader favorite! 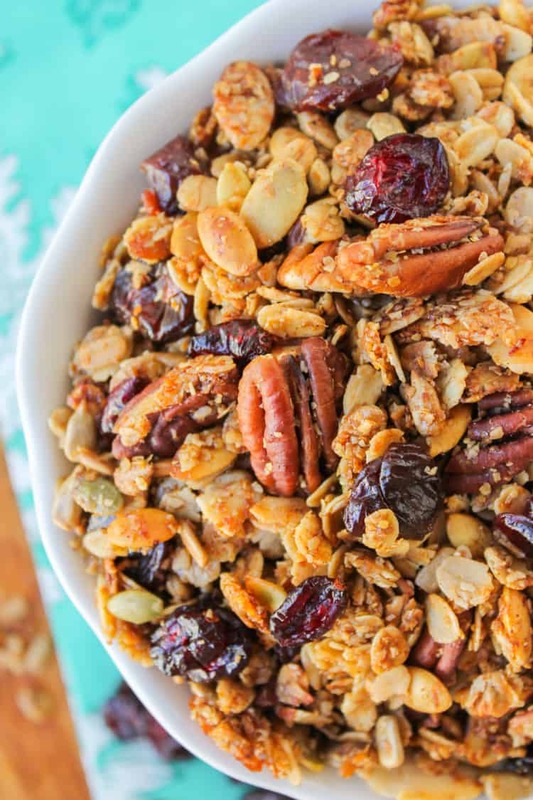 4 ingredients and done in 5 minutes! 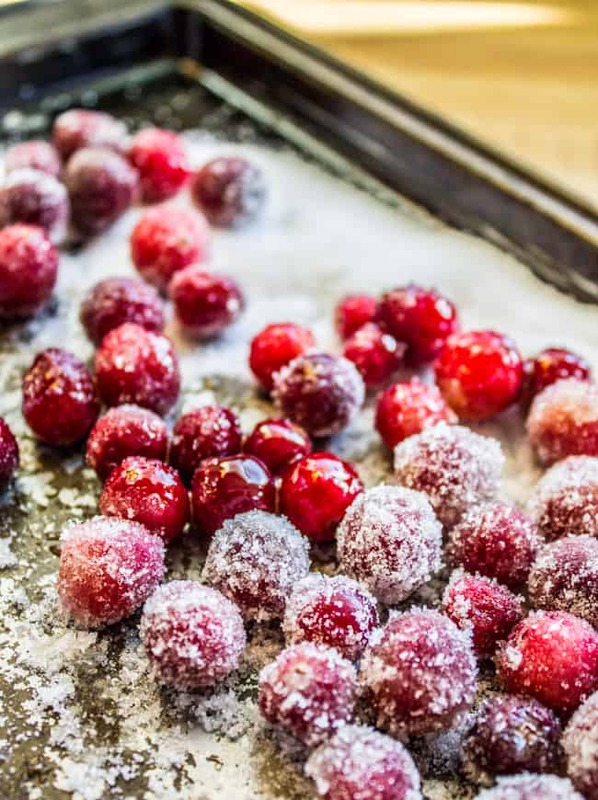 Easy Sugared Cranberries: << these are so festive! 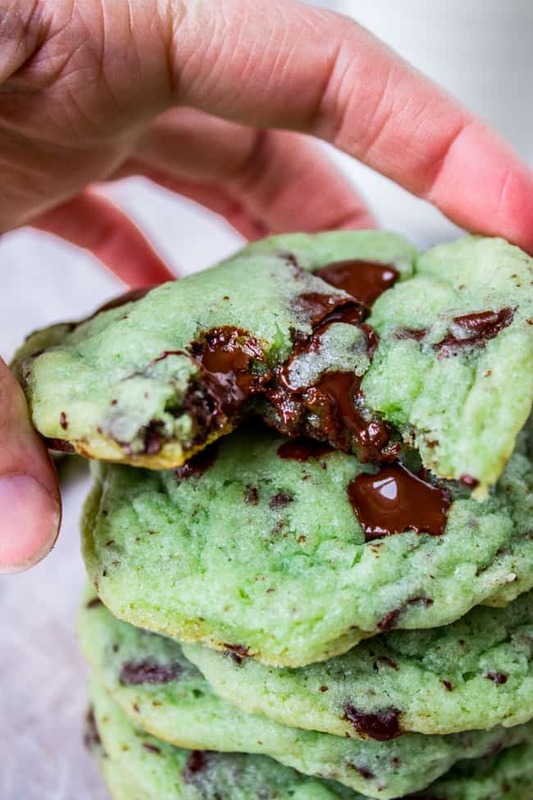 Mint Chocolate Chip Cookies << If you are going to gift cookies, make these ones! 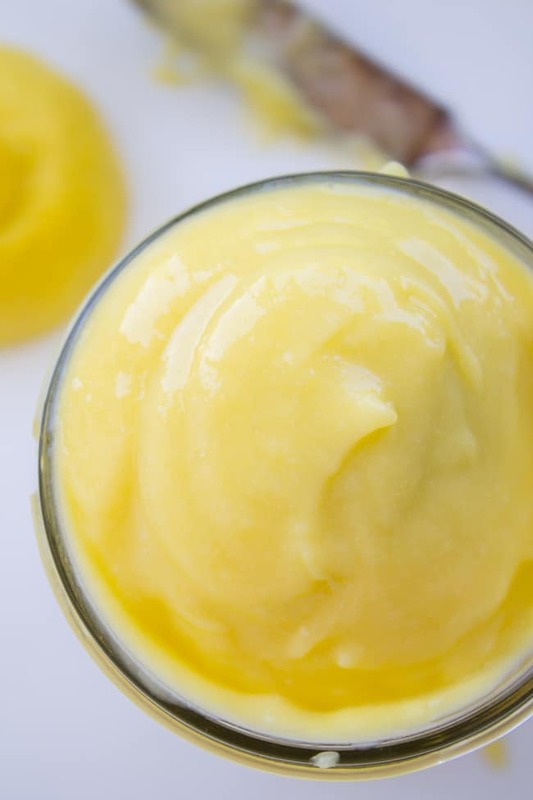 If I try to make this , is there anything I can substitute for corn syrup< Im diabetic ans would like to make this as free of sugar as I can. Hey Linda! Unfortunately I can’t make any recommendations for how to change the recipe. Candy making is pretty fickle and I wouldn’t be confident recommending substitutions unless I had tried it myself. Good luck! Pecan logs are one of my all time favorite treats. 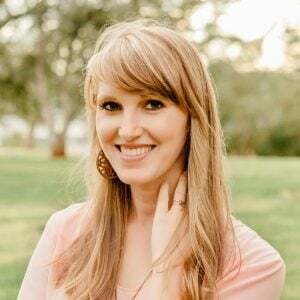 I never thought I’d be able to make it myself but your blog changed all of that! I’ve made these three times now. This recipe has officially been canonized in my recipes. I can not recommend it highly enough. Thank you for helping me learn to make my favorite treat. Tried this recipe tonight. Complete failure on the nougat, it basically turned into a Carmel texture and dark in color because it burned. I am not sure how you cook heavy cream on high heat and hope it doesn’t burn. So sad. I was hoping to give away. I’m so sorry to hear that Tanna! Were you using a candy thermometer? Once it’s at a rolling boil, you can turn the heat down a bit, just make sure it stays at a rolling boil. I made the nougat but it got a little bit hard. The thing is that I cannot work with it. Is there anything that I can do now? Hi Alonso! I’m so sorry that happened. Since I wasn’t in the kitchen with you, unfortunately there’s no way for me to know what went wrong. It sounds like it was cooked too long, and no, I’m afraid there’s no way to fix it now. Your best bet is to start over. I’m so sorry, I know that’s frustrating! So yummy though, thanks for sharing! Hey Courtney! Okay so actually I think the issue might be not COOKING the nougat long enough. Because even if you don’t chill they should hold up eventually at room temperature. Maybe next time add a couple more minutes to the cook time. 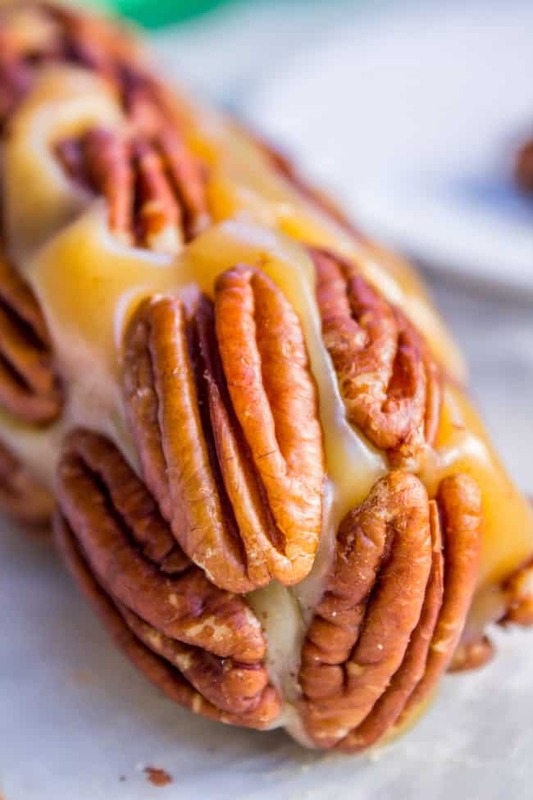 How long do these pecan rolls keep? Hey Jean! These never last long at my house…but I believe they will keep quite some time. It’s just candy. In the freezer, I would say up to 4-6 months. In the fridge, maybe 3-4 weeks? Tightly sealed of course! The pecans will get soggy if kept in the fridge for more than a few days I imagine. 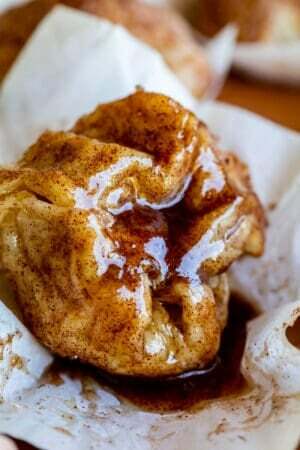 Hey, just came across This recipe and have couple of questions. Would lining the 9×13 pans with wax paper be better and do just stir the butter and vanilla in the 9×13 pan after being poured in? Y is that? Hey Karl! I don’t think lining with wax paper is necessary, sounds like it would be even more messy. But if you try it out and it works great, let me know! You stir the butter and vanilla into the 9×13 to make sure it’s not part of the cooking process on the stove. You want it to have cooled a bit (pouring into a 9×13 in enough cooling). Hope that helps! These look amazing!! This might be a silly question but for the nougat, you say heavy cream. Then for the caramel it just says cream. Do I use heavy cream all the way through? Hey Lori! I always buy the heaviest cream available at the store. No, there is no difference between the cream I used in the nougat and the caramel. I’ll go change it! Thanks for pointing that out! I wonder if I could pour caramel in a jelly roll pan, then make and pour nought over that? I would then sprinkle with nuts and after it had it had cooled, cut it in small pieces. I know that is very lazy, but wondered if you thought it would work? Thanks in advance for any response. I realize that this is an older post. Hey Malowa! I wouldn’t count on it working, unless you are very familiar with the kind of caramel you plan to use. Will it hold it’s shape at room temperature? Try it out and let us know! These look so amazing Karen! My Grandma would make pecan rolls every year. You make it look easy! Awesome Rachel! You have to try it, it is sooooo good!! :) I wish I could try all your candy! Aaw,now I have to remember what witty things I said, when I tried to comment on the facebook area. Fail. In part, I felt bad about the turkey. At 54,am touchy in a prideful way in regards to. FAILS. Well, we had no dessert Thanksgiving. We did not want pumpkin or apple anything cuz had tons already. So saw a recipe for slutty brownie pie. Made the cookies and the bar form, so sure. NOT! Did not read the fine print. DEEP dish. Can we say lava pie? Flowing all inside oven? Made a lovely apple cake the next day per Jen at Carlsbad Cravings, just a day late, all were full, so was all good… having dessert for breakfast the day after Thanksgiving. Yes, I did. Baked it Thanksgiving night. Oh no lava pie all over your oven!!! haha! Let me know if you try out this Pecan Roll! Butter, sugar and cream. What could go wrong? Let’s make these when yiu come home!! Oh no!!! haha I will admit I did that once with a roast chicken for a party. Never again haha But this roll! Oh my goodness it looks good! Oh my goodness. They used to sell something similar to this at the Minnesota Renaissance festival when I was a kid. Pretty sure it was meant for two people to share. Nope. Ate it all myself. The nougat looks amazing. I’m so happy I found these. I am totally making them. My first time hosting, the turkey was raw too – great way to impress the in-laws! It must be a thing. I think it’s sign that we’re just supposed to serve dessert, like pecan rolls. Oh don’t worry I have sooo been there with the raw turkey!! I guess that’s what appetizers are for , right?!?! This looks amazing and I don’t blame you for not sharing, cuz I wouldn’t either!! Woah! This is beautiful. I love how it has a large yield so you can make many gifts in one sitting. Yes, it’s perfect! I love it! Let me know if you try it out! That looks pretty spectacular. I can see why you would eat the whole thing and not share. I think I would do the same thing. OMG that’s my worst nightmare! BUT it’s better to undercook than overcook, since you can just stick it back in the oven right??? I’m allll about going above and beyond for the holidays, cookies, candies, homemade gift tags and gifts, I want to do it all! 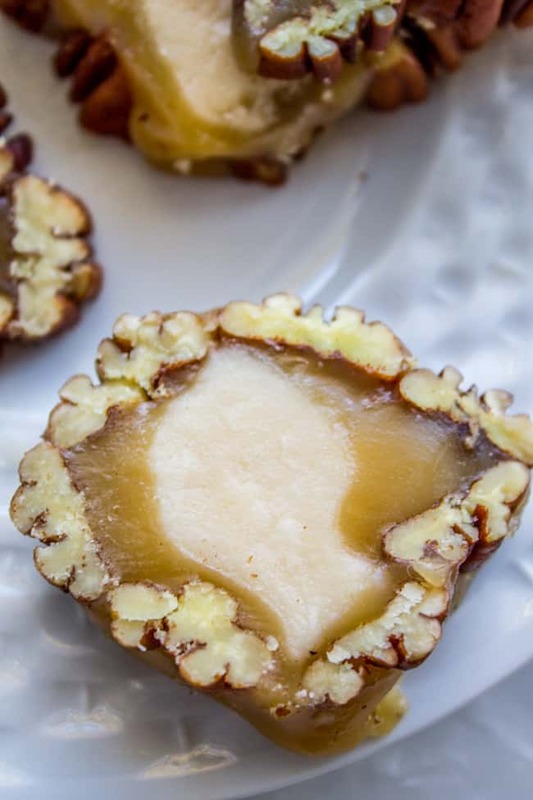 These look insanely delicious and are the perfect food item to gift to friends and family. LOVE! Bummer on the turkey, I swear those birds are so finicky! 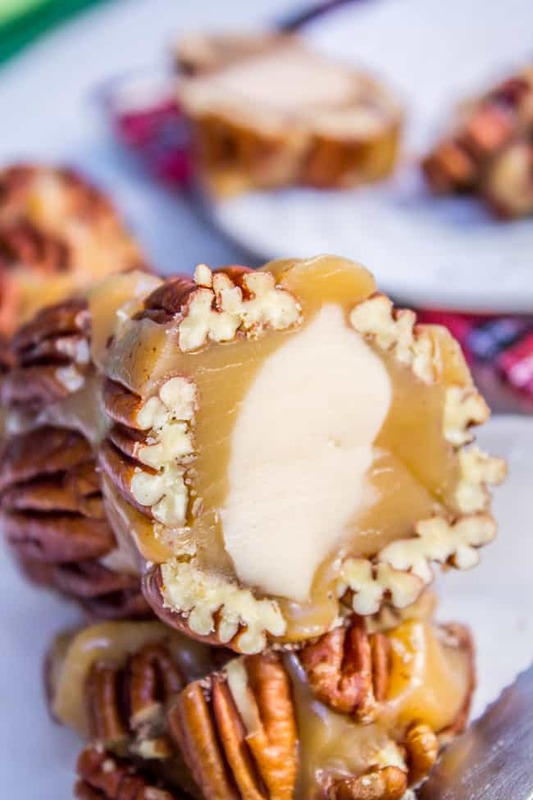 These pecan rolls look awesome! I’m definitely not a candy maker either, but I think I could handle these! 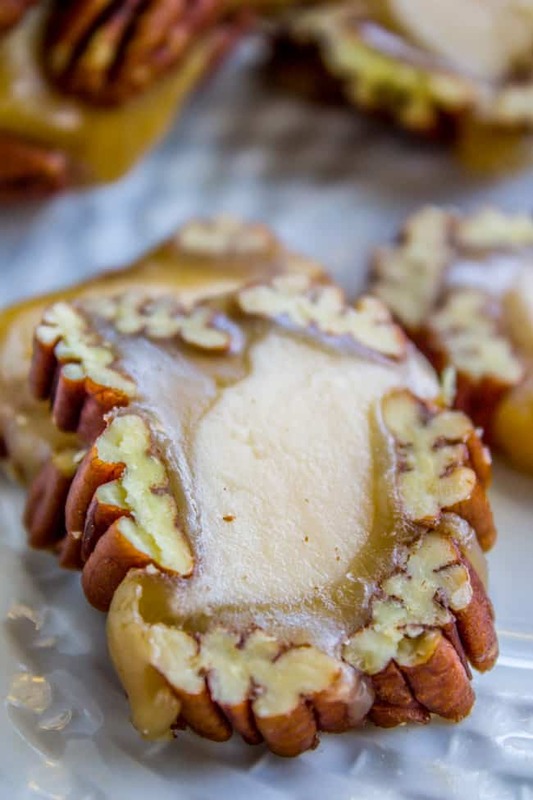 These pecan rolls SCREAM delicious- the crunchy pecans and the chewy nougat?! Christmas couldn’t get here sooner :) Pinning! Oh my gosh!!!! Raw turkey! I love that you’re proudly sharing that, hahaa! These little nougat rolls look AMAZING! Oh no, so sorry about your turkey. It is so hard to get it right without overcooking it and making it dry. These are some great ideas for neighbors!